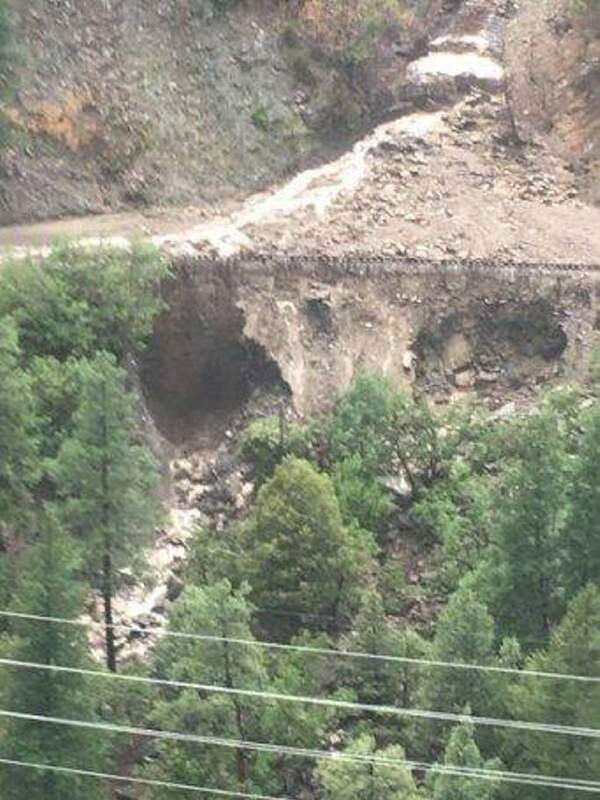 The Durango & Silverton Narrow Gauge Railroad is working to stabilize a hillside a quarter mile south of the U.S. Highway 550 overpass. The work involves using rocks that weigh between 30,000 and 60,000 pounds. The Durango & Silverton Narrow Gauge Railroad is stabilizing Hermosa Hill after debris flows damaged a portion of the tracks in July. 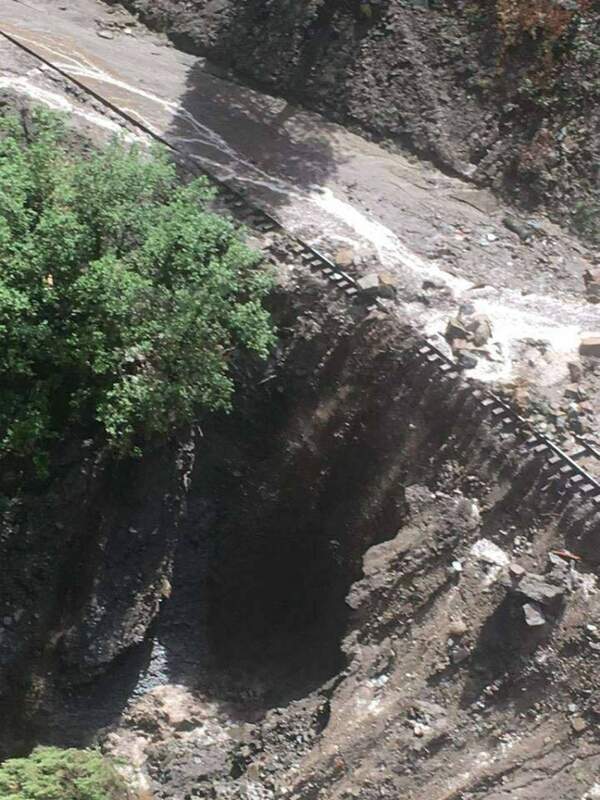 The Durango & Silverton Narrow Gauge Railroad’s train tracks north of Hermosa were severely damaged July 24 by debris flows. 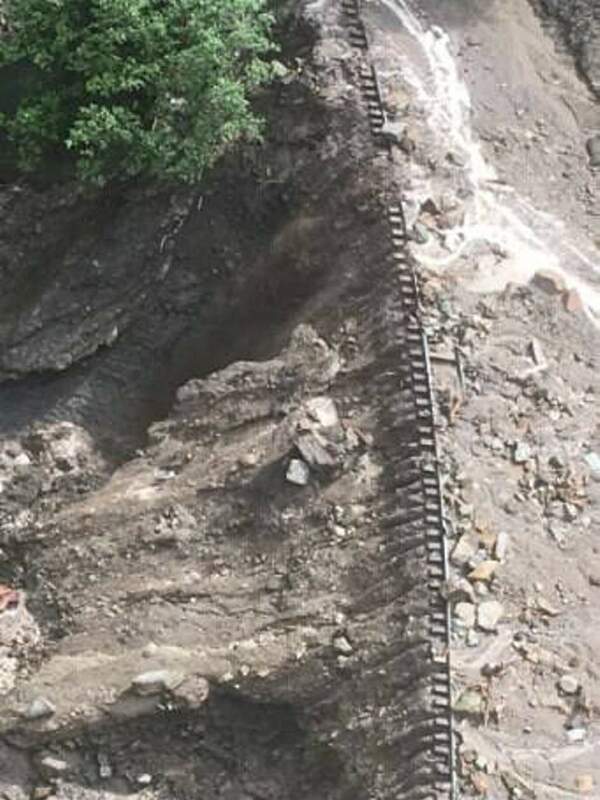 Owners of Durango & Silverton Narrow Gauge Railroad say they hope to begin running trips from the depot downtown Sept. 17 after weeks of offering a modified route because debris and mud washed out a portion of the hillside along its train tracks. Twice in July, flooding wrecked part of the slope the trains run along north of Hermosa. 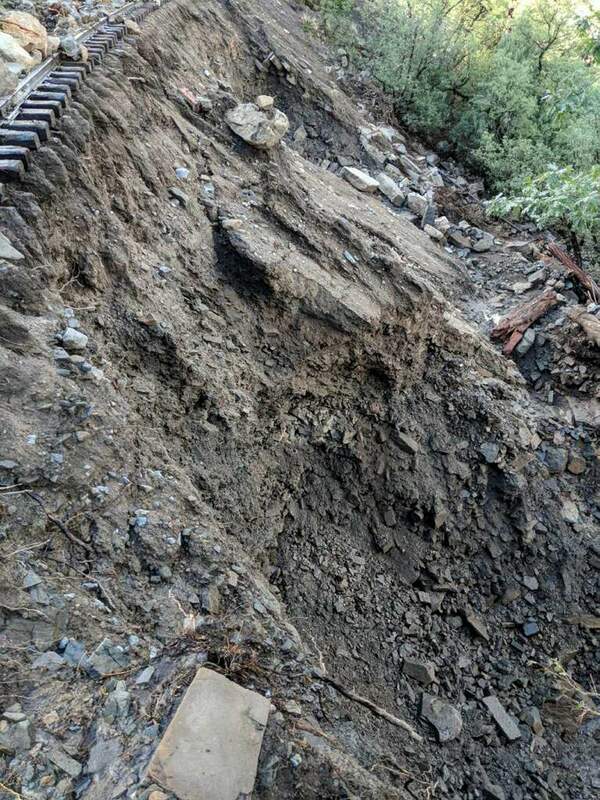 The hillside that was washed out is about a quarter mile south of where the train tracks pass below U.S. Highway 550. The area was flooded July 17, and passengers on the Durango train returning from Silverton had to hike to the highway to buses after the train was forced to stop at Shalona Hill. The work to control debris flows is based on a runoff study, and it involves laying interlocking rock, putting in new culverts and building settling ponds, D&SNGR General Manager John Harper said. There are six companies working on the project, including the railroad, he said. “We have developed a plan with local contractors to control the erosion to make sure the train can safely go by,” Harper said. Construction is expected to be complete Sept. 15. “Everything is going well,” he said. 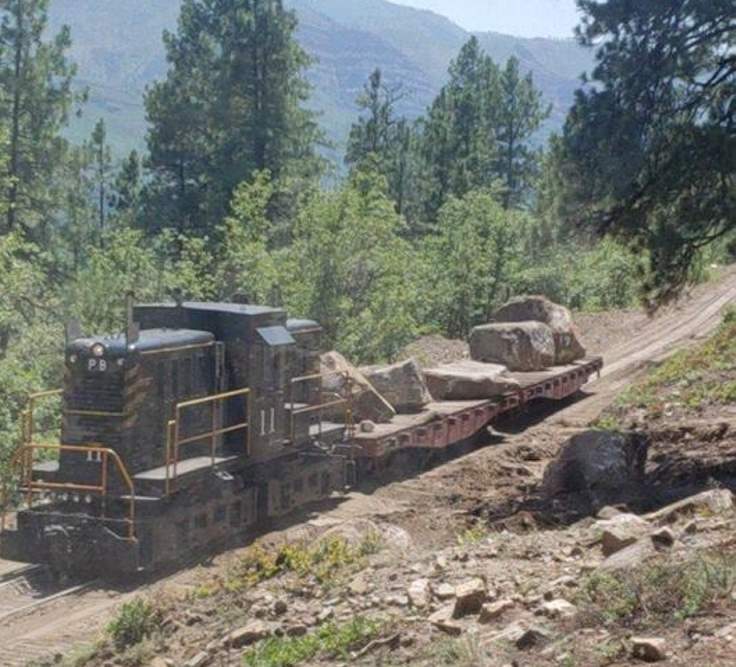 The railroad is building an interlocking rock structure about 150-feet wide and 60-feet deep to keep the soil in place on the washed-out hillside owned by the railroad, Harper said. Some of the boulders being used in construction are between 30,000 and 60,000 pounds. “All the work we’re doing is going to be a long-term fix,” he said. Metal mesh, known as a TECCO System, will be installed over the new rock structure to add extra stabilization. The mesh is similar to material used on slopes near highways in the region, Harper said. The railroad will also replace culverts that were damaged and clogged. It will put culverts in new locations and clean out 4 miles of continuous ditching from Hermosa to the Highway 550 overpass, he said. 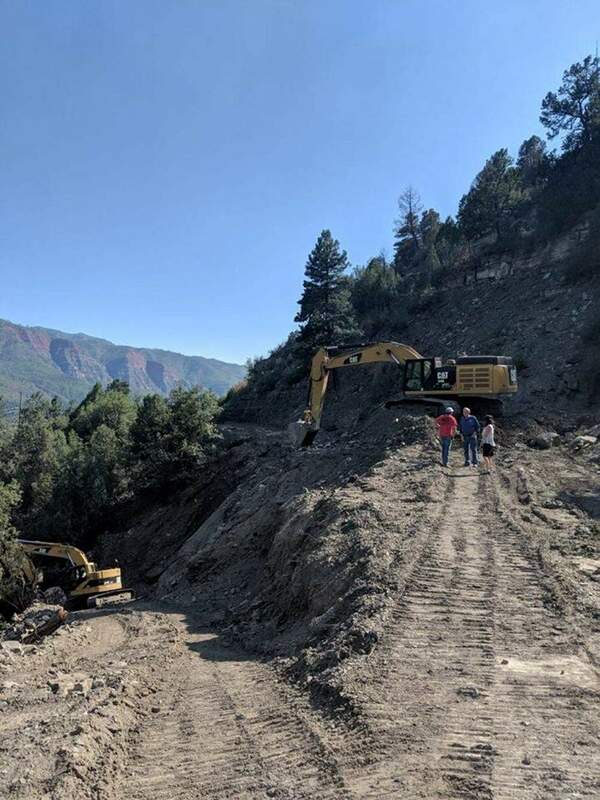 The latest route change is but one in a series of changes the railroad has had to make after the monsoon rains triggered debris flows and flooding from the 416 Fire burn scar. Train service was originally suspended for 41 days during the 416 Fire and La Plata County’s Stage 3 fire restrictions, which ban coal-fired engines.